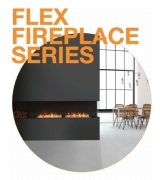 When Brian Meyerson Architects (BMA) was tasked with designing a restaurant themed around fire and bold flames, EcoSmart Fire Burners fitted the bill. BMA associate director Kevin Ng sought products that delivered powerful, bright flames and created a distinctive ambience. 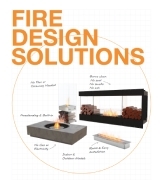 “EcoSmart Fire Burners presented an ideal solution,” Kevin says. 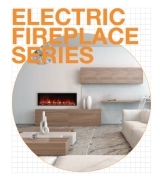 “We chose EcoSmart Fire Burners for their design simplicity and visual appeal. They were the only product that produced a strong, bright orange flame that made an impact,” Kevin explains. Several restaurant zones feature EcoSmart Fire Burners that integrate seamlessly into benchtops and bars. Venting extracts heat from restaurant spaces. 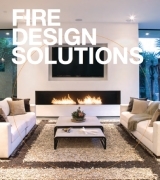 Nine EcoSmart Fire Burner Ones were integrated across entertaining zones: four burners behind the bar, four in a basaltina stone benchtop in the dining area and a single burner features near the restaurant’s entrance. “I was impressed with how easy it was to detail around the burners,” Kevin says. The EcoSmart Fire XL900 forms the centrepiece of the eye-catching design of the recently opened Hurricane’s Grill + Bar Top Ryde, in Sydney. There, the diners can marvel at rows of elongated flames stretching 10 metres along the bar. Fire and flame theming bursts into life at Hurricane’s Grill & Bar in Sydney, with significant help from EcoSmart Fire Burners.